14-year-old Andre’ Abela was handed the Pope John XXIII Award for Kindness today in recognition for his dedication to a dying friend who suffered Leukaemia. Andre’, who is from Cospicua, regularly visited his friend at home for nine months and kept him company up to the end. In so doing he was also an example to his classmates and even organised group visits for them. “It is people like Andre’ with a sense of altruism, who reach out to others, who give the best possible help to people in need,” President George Abela said at the award ceremony. “A strong society is built on the values such as those shown by Andre'” he added. 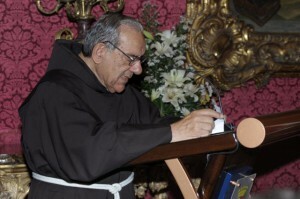 Fr Dionisius Mintoff OFM, director of the Peace Lab, which organises the award, said that children recognised values and picked them up from everywhere around them. He said that in teaching children about rights, one should also underline duties and responsibilities. Andre’, he said, represented the many Maltese students who had a heart of gold.